Sky High Water Bill - Is it Time to Check for Water Leaks? Sky High Water Bill – Is it Time to Check for Water Leaks? Water leaks can cause the destruction of commercial buildings as well as residential homes. Therefore, it’s important to take appropriate measures to ensure that any leaks are detected and repaired in time to minimize any further risks. A good time to check for water leaks can vary; for instance, you may choose to check for water leaks at night when you aren’t using any water appliances. In this case, you should turn off all taps, allow tanks to fill and record this first meter reading. Leave all the appliances off for the whole night. The following morning, take another meter reading before using any water. Establish the discrepancies in the figures obtained. If the second reading is higher than the first reading, that means you have a water leak. If your water bills have suddenly increased drastically, with little or no changes in your water consumption patterns, then it’s a good time to check for water leaks. A significant increase in your water bills implies that you can have pipe damage or that your tanks or taps might be damaged. This will require urgent action on your part. When you hear a faint hissing, trickling or the sound of running water, it’s a good time to check for water leaks. In this case, try to locate where the sound is coming from, assess the extent of the damage and determine if you can fix it. 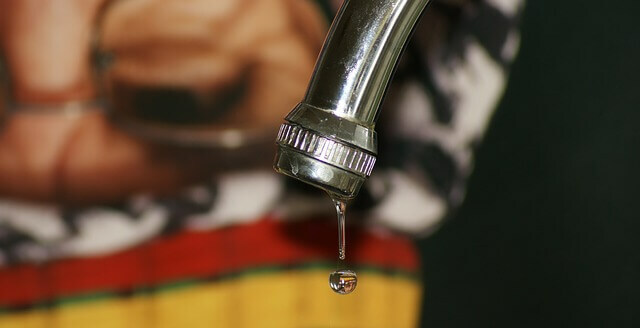 If not, seek the services of a plumber within the shortest time possible to repair the leaks. If you’ve turned off all water appliances but meter dials are still rotating, it implies that you may have a hidden leak in the underground piping. Get in touch with a plumber and he will discover where the hidden leak is. Despite the fact that condensation is normal, excessive condensation can be a sign of water leakage. If you experience this situation, then it’s a good time to check for water leaks. Critically assess the condition of the walls, ceiling, and floors to spot areas that are always wet. This also entails looking for warped or discoloration stains that may have been caused by water leaks. After that, inform your plumber so that the pipes can be insulated and repaired to minimize the condensation. Hanover Supply is a plumbing supply NJ company. Don’t hesitate to contact us if you have any questions or visit our design showroom to see what we have to offer!